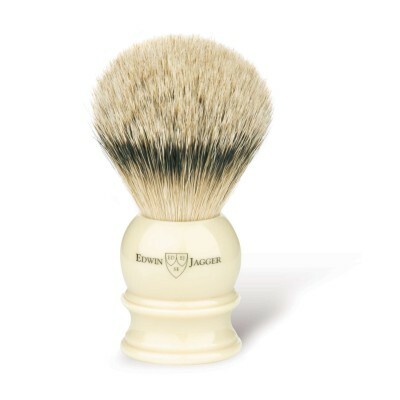 A badger shaving brush is essential to getting a close and comfortable shave. The shaving brush is used with a traditional shaving soap or shaving cream to produce a thick and creamy lather to help soften the beard hair and protect the skin during shaving. 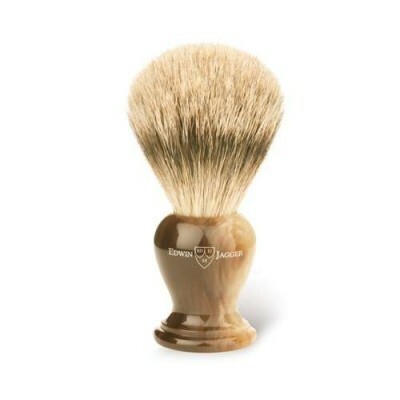 The bristles work around each beard hair to lift and saturate with water. Badger shaving brushes come in a variety of different quality grades. 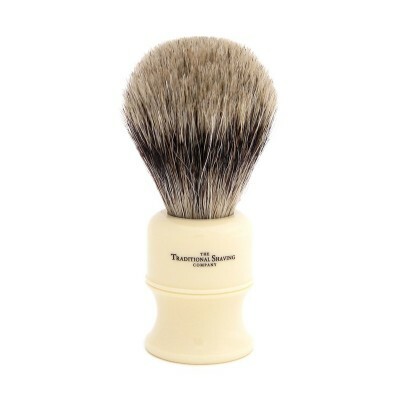 The higher quality grades don't necessarily provide a better shave but they do feel nicer and more luxurious to use. The cheapest, and most popular grade, is pure badger. Pure badger brushes have quite a stiff bristle which makes them good for hard shaving soaps. Next is the best badger and super badger brushes. 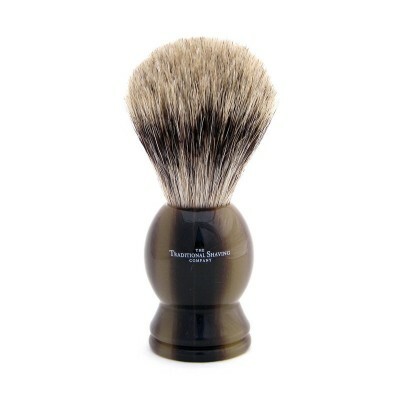 These are softer on the tips than pure badger brushes but still remain quite firm making them excellent for any use. The most expensive grade is silver tip badger. 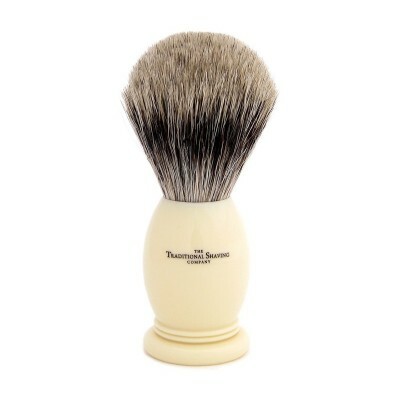 This is made from the softest hairs which give it an incredibly luxurious feel. 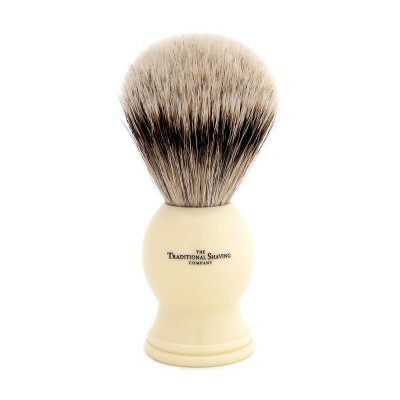 Because the bristles are very soft, they take a bit longer to work on hard shaving soaps. 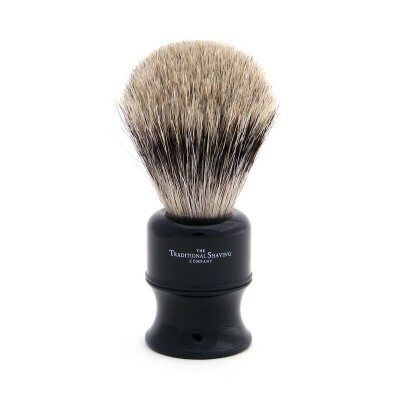 We also stock a range of modern synthetic shaving brushes. 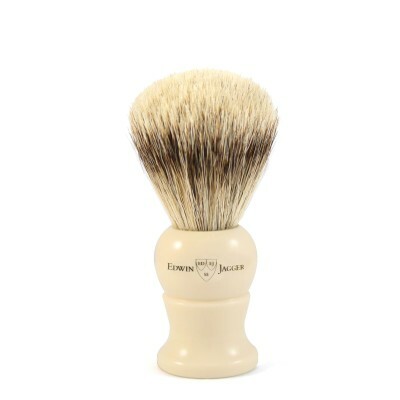 These have been developed to behave almost identically to genuine badger hair but they are made using vegetarian/vegan friendly fibres. Shaving brushes are available in different sizes. 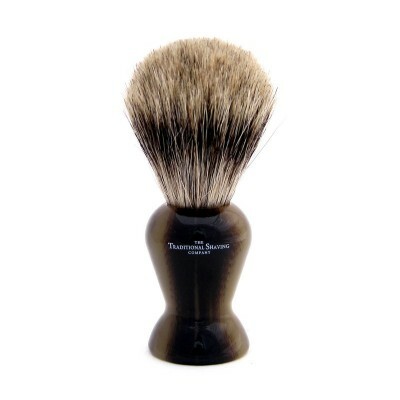 The size given usually refers to the width of the hair 'knot'. 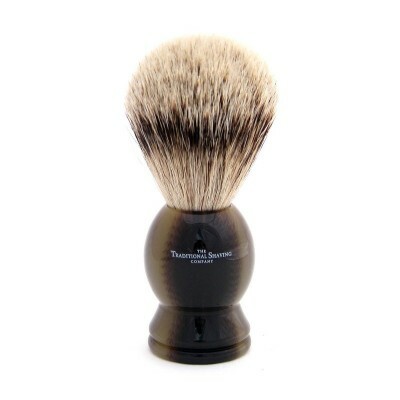 The most common size is around 20mm - 22mm which is considered to be medium size. Larger brushes tend to have larger handles which make them ideal for people with larger hands. 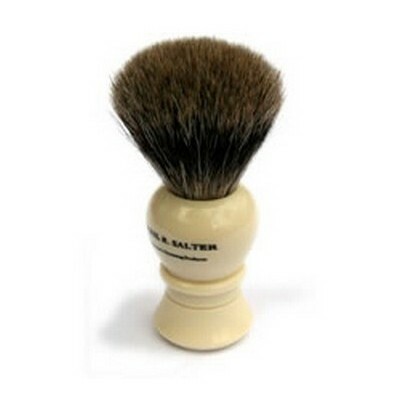 They are also able to hold more lather. 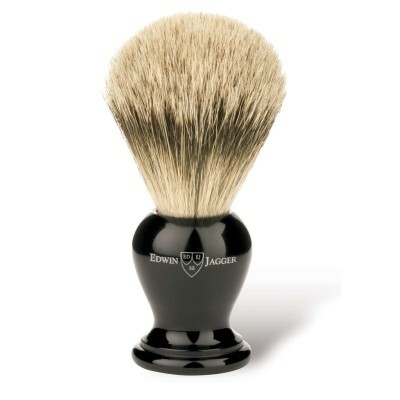 A badger shaving brush will last many years if looked after well. They should be thoroughly rinsed after every use and left to dry out in the open. Regular cleaning in a mild Borax solution will help to prevent any build up of soap/cream residue. 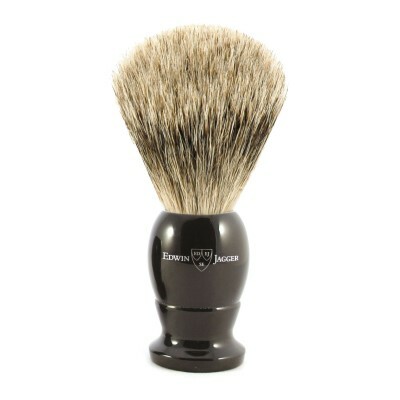 The Traditional Shaving Company faux horn 300 series best badger shaving brush. 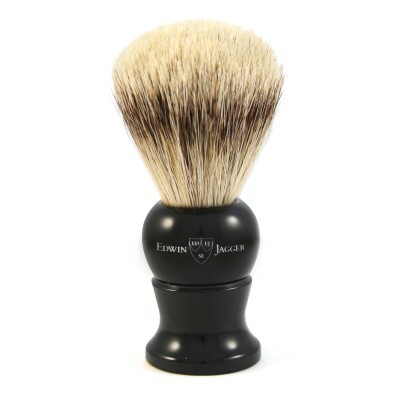 This shaving brush has an extremely dense knot of the finest best badger hair to quickly and easily produce a rich and luxurious shaving lather. The knot size is 21mm. 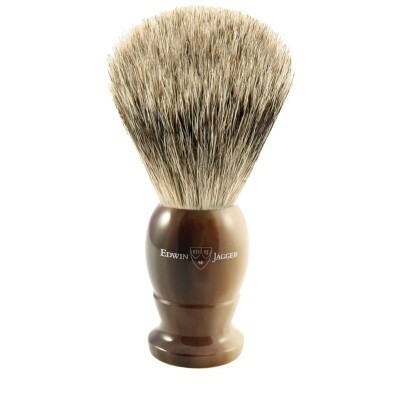 Best badger hair is a better quality hair than pure badger and is slightly lighter in colour. 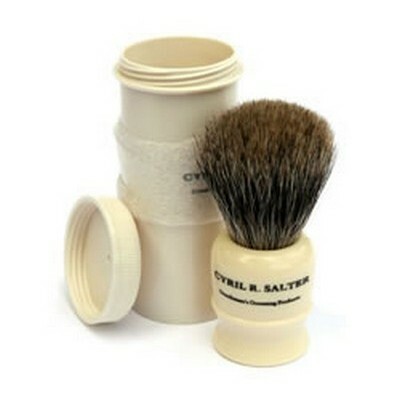 Cyril R Salter faux ivory handmade pure badger shaving brush - medium lathe turned handle. 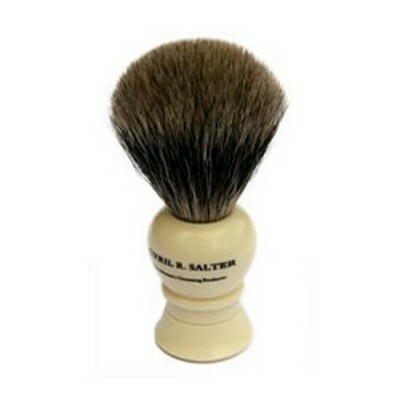 Cyril R Salter faux ivory handmade pure badger shaving brush - large lathe turned handle. 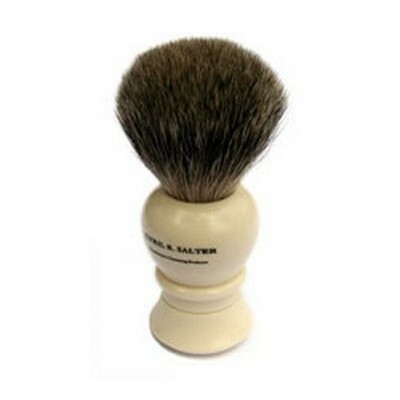 Cyril R Salter faux ivory handmade pure badger shaving brush - small lathe turned handle. 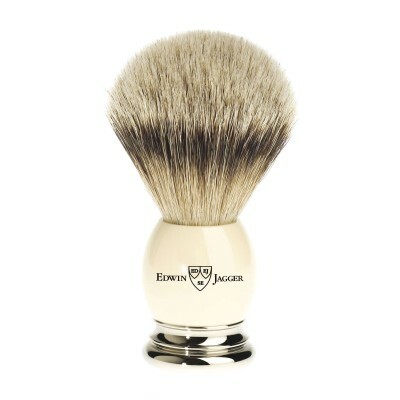 Edwin Jagger best badger shaving brush in imitation light horn finish. This medium weight shaving brush is finished with a chrome trim. 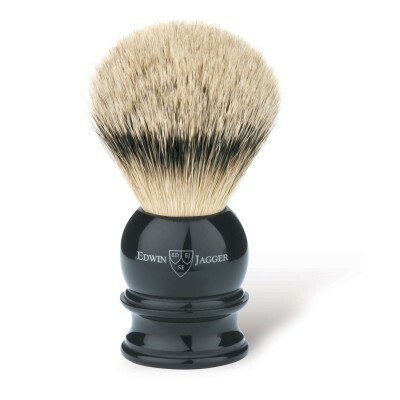 Edwin Jagger best badger shaving brush in imitation ebony finish. This medium weight shaving brush is finished with a chrome trim. 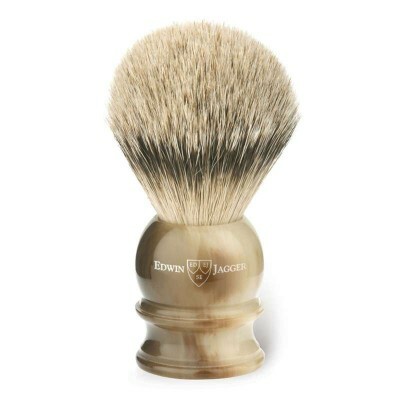 Edwin Jagger best badger shaving brush in imitation ivory finish. This medium weight shaving brush is finished with a chrome trim.